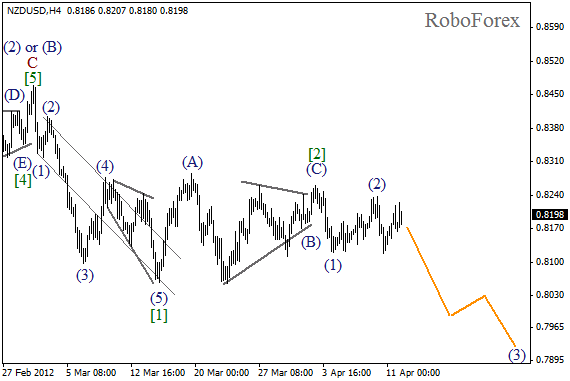 The NZD/USD currency pair continues moving inside a very narrow trading range, the price has already formed two initial bearish impulses. 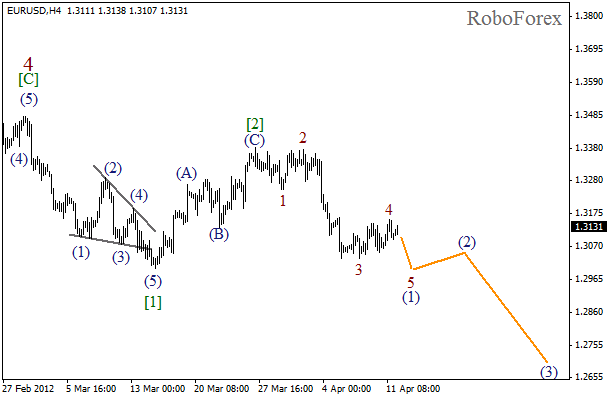 The situation may become clearer in the nearest future, `cause the current chart structure implies that the price may start moving downwards again inside wave (3). As we can see at the H1 chart, every time after the price finishes an initial impulse, quite a long correction takes place. We may assume that wave 2 has been completed. In the near term, we can expect the pair to start falling down while forming the third wave. 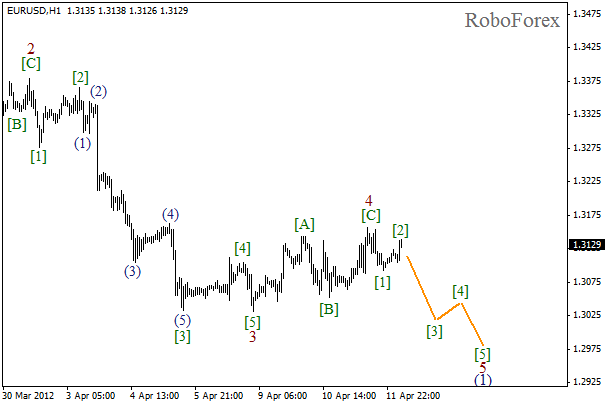 It looks like the price completed wave 4 earlier, and on Thursday and Friday Euro is likely to start moving downwards inside the fifth wave. In the future, after a slight correction, we can expect the price to start falling down again while forming wave (3). More detailed wave structure is shown on the H1 chart. 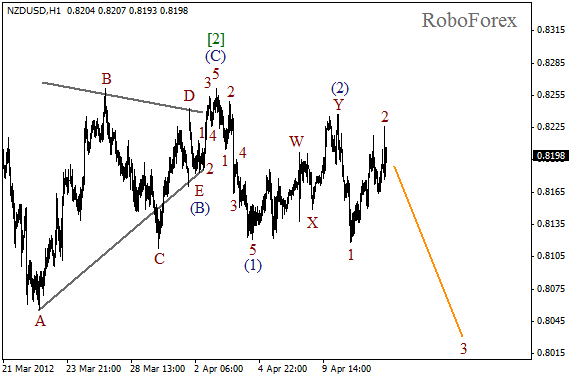 Wave 4 was finished in the form of zigzag pattern. We may assume that several hours ago the price completed an initial descending impulse. On Thursday we can expect the pair to start falling down in wave .